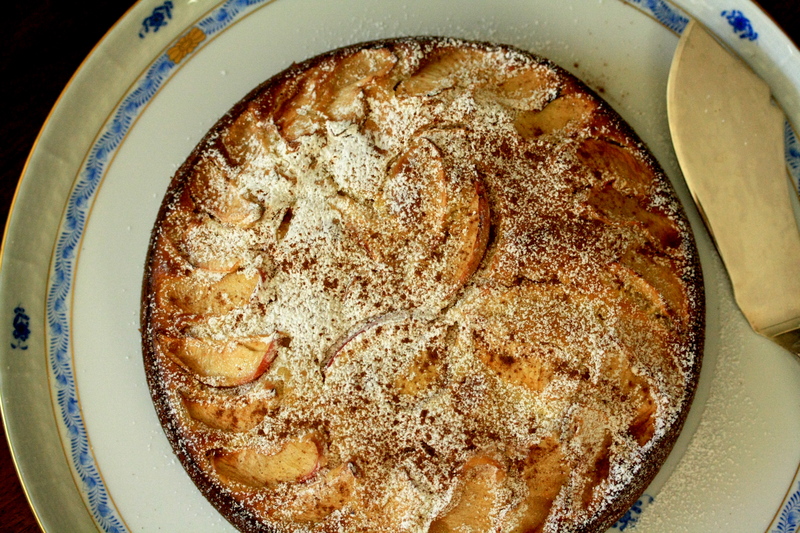 Ah, torta di mele, one of the staple cakes in the Italian baking arsenal with its soft, sweet, apple-studded crumb and lemony perfume. My mother would prepare it when we had impromptu guests, for birthday parties, or anytime we didn’t want to arrive at a lunch invitation empty-handed. It is a cake that is perfect in its simplicity, a one-bowl ordeal that takes no time at all to throw together and is always loved by everyone. The crumb is extremely moist and studded with juicy pieces of apple, the edges acquire a gentle chew and the middle almost can’t handle the weight of the apple slices layered on top. Not only is this cake perfect for dessert, but it’s another one of those Italian cakes that can be enjoyed any time of day. Whenever we had this cake leftover it would always be a special breakfast treat the next day, only growing more tender with time. I changed up the recipe a tiny bit from the one my mom scribbled quasi-legibly on a notebook by adding in some hazelnut meal and replacing the vegetable oil with olive oil mostly because my roommate didn’t have enough vegetable oil for me to steal it with out her noticing. Lets just say I changed it to olive oil because it lends a special slightly savory note to the cake. Also I’m sorry that the measurements are a mixture of metric and not metric, but my mom didn’t specify the exact quantities of milk and oil, but rather wrote to add “un bicchiere”, which means “one cup” but refers to any old cup you have hanging around the kitchen, not necessarily an actual measuring cup. Preheat the oven to 350 degrees and butter a spring form cake pan. In a large bowl, mix together the flour, hazelnut meal, sugar, and baking powder, then add in the wet ingredients and stir until homogeneous. Zest the lemon and add that to the batter as well. Peel the apples and slice them into thin slices. Cut some of the slices into smaller squares and stir them into the batter. 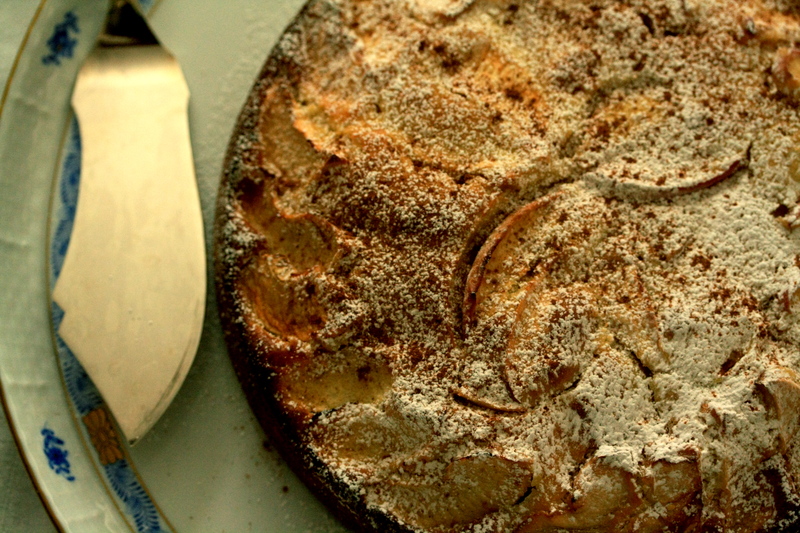 It really doesn’t matter how many, you can make it as appley as you want! 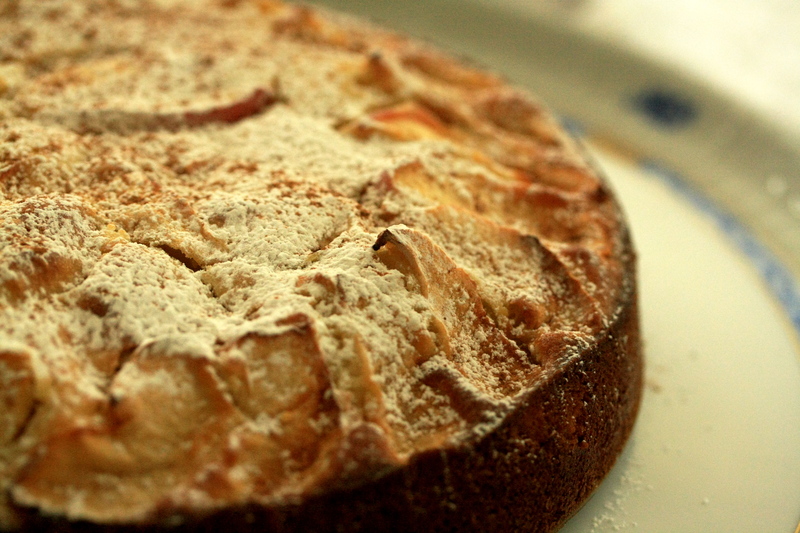 Pour the batter into the prepared cake pan, then layer the top with more slices of apple. Bake for 40-45 minutes. Enjoy!